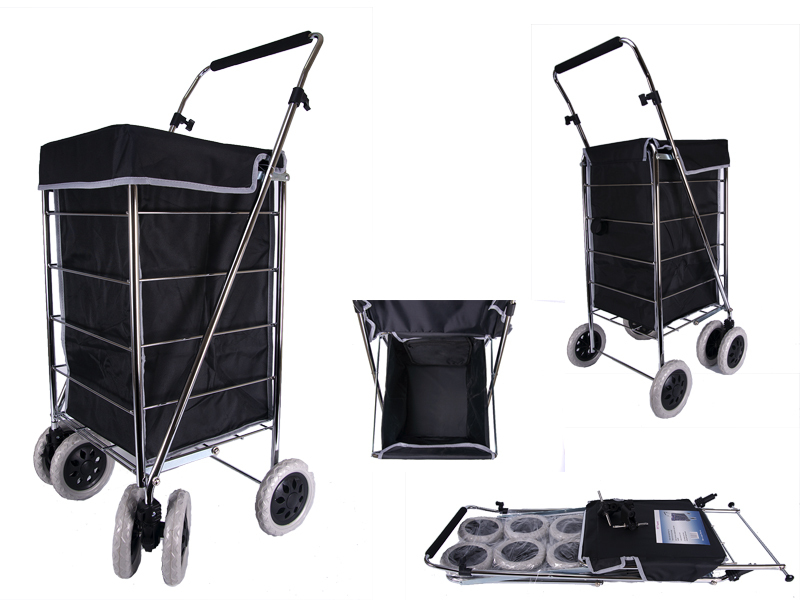 Stylish collapsible shopping trolley. 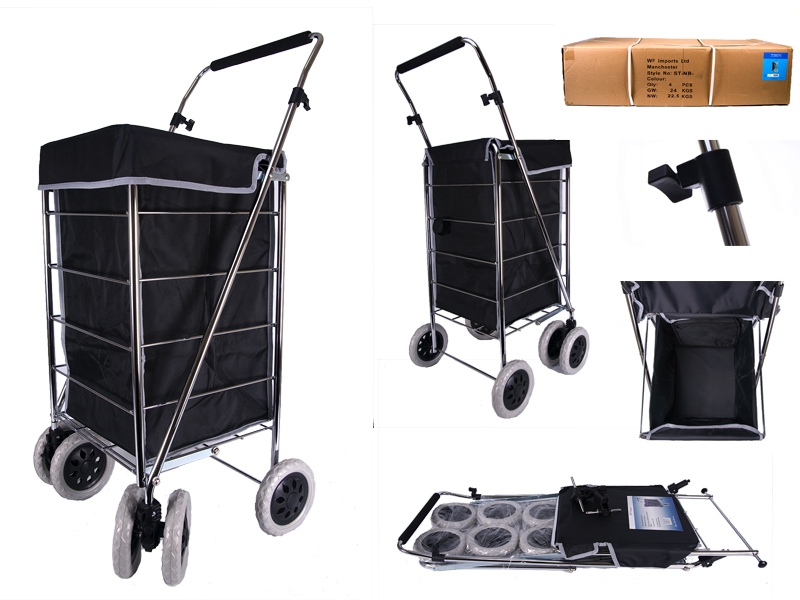 With six wheels the front two being 360 swivel for easy movement. Inside there is a zipped pocket. The adjustable height handle adjust BY 7 CM.